Cinema days, the name referring to an excellent late-night Spanish TV show) is the common title for these four songs, due to the references to cinema we find in the titles of the three original songs. As usual, all comes in small doses of tasty guitar pop, faithful to their compromise with immediacy and naturalness. 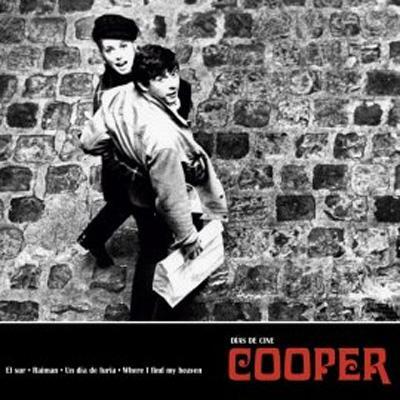 Wrapped in an elegant cover artwork featuring two guest stars like actress Catherine Deneuve and her ex husband, fashion photographer David Bailey, the record opens with the song 'El Sur', a song that had already been performed live by Alex Diez and his band on their latest shows, featuring lyrics that are full of hope and confidence in the power of love, and a musical background dominated by the guitar work, alternating quiet moments and a wise use of space and silence with noisier parts full of overdriven guitar intensity. It's title is the most cult-ish of this EP, since it links to the poetic second movie from the short filmography by Spanish cult director Vctor Erice, which was filmed in 1983. Coming after El sur we find a mid tempo with guitars that could belong to the best moments by Teenage Fan Club, and images as strikingly strong as that of the main character's loneliness standing in the rain; of course, the song is called Rainman, referring to the movie starred by Dustin Hoffman in 1988.